Dougherty’s sister, Lea Yribe, now 26, donated eggs for the IVF and the eggs were fertilized with Matthew Eledge’s sperm. 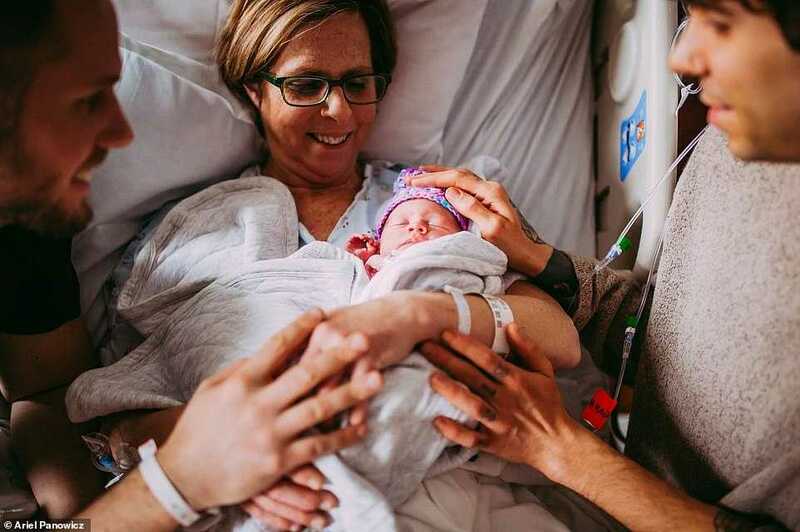 The first implantation in Eledge’s mother — one of three fertilized eggs that were thought to be among the most viable — was successful and she carried the child for nearly eight months. On March 25, Eledge gave birth via natural delivery to a five pound, 13 ounce girl, who was named Uma Louise. The birth was announced in a press release from the Omaha Medical Center in Nebraska. A friend of Matthew Eledge who recently had a baby has been donating the breast milk. “Talk about a support system! This is a friend we trust and love. We love women. We think women should rule the world. Elliot’s sister donated her eggs, my mom carried her, and we have this dear, beautiful friend giving her this nourishment,” he told BuzzFeed. “As gay men, we’re so lucky to be having children at a time when people are actually celebratory of our relationship and of us being parents, and also at a time when technology allows us to have this baby, with some of Elliot’s genetic material and some of my genetic material,” Eledge added. As previously reported, Christians believe that all men are in the same predicament: All are born with the Adamic sin nature, having various inherent inclinations that are contrary to the law of God and being utterly incapable of changing themselves. 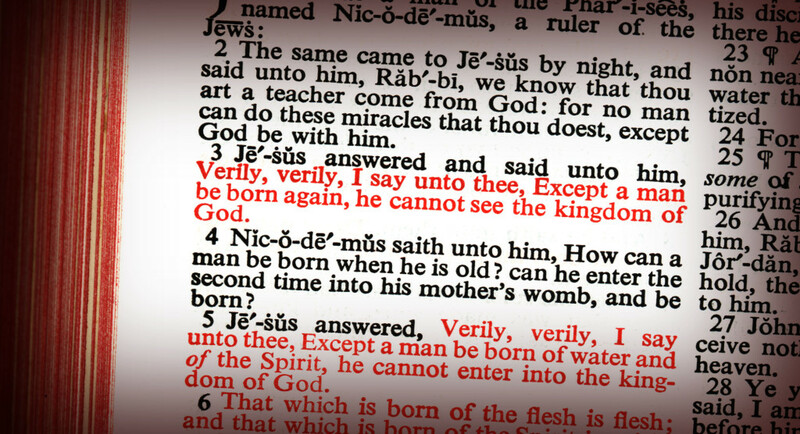 Jesus outlined in John 3:5-7 that men must be regenerated by the second birth, and be transformed from being in Adam to being in Christ, or they cannot see the kingdom of Heaven.